Every horse person with a couple of years under her belt has some sense of when a horse looks “off” or “not quite right,” but even when your eye can spy the hitch or hesitation, determining the source of the problem is a challenge few can conquer. Acknowledging that even veterinarians tend to rely more on expensive (and often inconclusive) diagnostic tests rather than well-trained perception to identify lameness and trace it to its origin, Dr. Bob Grisel has written a guide intended to simplify the process. 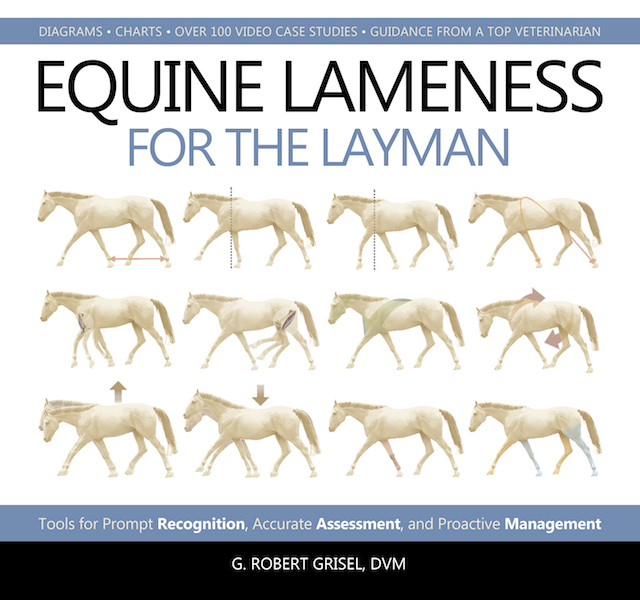 His book Equine Lameness for the Layman instructs all in the fundamental knowledge that can make “seeing” what’s wrong, and what the likely cause is, second nature, ensuring happier, healthier horses. Here he outlines his basic game plan. • Improving our ability to see it. • Maximizing the horse’s expression of it. Ten things that could save your life when you’re on the trail with your horse. I’ve been a trail rider for a long time, and I’ve experienced my fair share of trail emergencies. I’ve seen injured riders, injured horses, and damaged tack. I’ve fallen off and been hurt, been cold and hungry, and run out of water on a hot day. And I’ve taken a wrong turn and gotten lost. I’ve learned from those experiences that having the right equipment with you and being prepared can make the difference between a mild misadventure and a disaster. Find out how some simple diet changes might help calm your hyperactive horse. He’s impossible to catch in the pasture when out with his herdmates. He’s jigging about while you tack him up. And he eyes every blade of grass beside the arena suspiciously, as if one might reach out and grab a fetlock at any moment. Some might say he’s “feeling his oats,” pointing at nutrition as the cause of his hyperactivity. Could a simple grain change bring this four-legged kite back down to earth? Let’s find out. Much of the research conducted by scientists at the University of Kentucky (UK) Gluck Equine Research Center, in Lexington, takes place in and around Central Kentucky—after all, it’s been dubbed the “Horse Capital of the World.” But sometimes the researchers get to take the show on the road. Earlier this year, Allen Page, DVM, PhD, researcher and veterinarian at the Gluck Center, who works with David Horohov, PhD, director of the Gluck Center and chair of the Department of Veterinary Science, traveled to the 63rd annual Tevis Cup endurance ride in northern California for a research project. Omeprazole is the only medication proven to heal gastric ulcers in horses, but veterinarians and nutritionists often recommend diet changes to help combat equine squamous gastric disease (ESGD). Little research has been done to affirm or refute the notion that these diet changes actually help affected horses. To determine if dietary changes help horses with ESGD, researchers found 34 animals with an ESGD grade of 3 or 4. A score of 3 signifies a large single or extensive superficial lesions, while a score of 4 denotes extensive lesions with areas of apparent deep ulceration. The grading scale goes from 0 (normal) to 4. Each animal was paired with another that had the same ulceration grade and that resided on the same premises, on the same diet, and with approximately the same workload. 1. Dirt is a natural part of the equine diet. It contains minerals in bio-available form that the horse needs for various metabolic functions. Some of the minerals, iron for example, are more utilizable from the soil than when added to feeds or stored in forages. Horses that are constantly stabled and deprived of minerals naturally found in dirt may develop deficiencies even when supplied with those minerals in processed feeds. 2. Dirt also contains microbes that the horse’s digestive tract can benefit from. Some microbes are located in plant roots so the horse may dig through the dirt to get at the roots of these plants. 3. Dirt contains water and salt which can both help a thirsty horse stay hydrated. However, it is always better to make sure horses are supplied with fresh drinking water and salt at all times. 4. Horses that do not have access to dirt on a daily basis may gorge on it when it is suddenly available. Again, it is perfectly natural ingredient in the equine diet so allowing the horse access to dirt every day is recommended. 5. Dirt has course particles that will help naturally grind down the horses teeth. Horses kept in stalls do not get this added benefit of eating dirt and must have their teeth floated more often than those out on pasture. 6. A horse with nothing to eat will eat dirt due to hunger and boredom. This is a very common cause of dirt consumption in horses. It is imperative that horses in dry lots or paddocked on sand be given forage on a continuous basis to avoid overconsumption of dirt due to hunger or boredom. Such a situation is dangerous as it can set up the digestive tract for impaction colic very quickly. Always have forage available when horses are stabled or paddocked with no grass. 7. A horse with an upset stomach may seek out and eat dirt or clay. According to Dr. Christine King, “Clays in particular contain very absorbent particles which can bind up bacterial toxins, organic acids such as those produced by sugar fermentation, certain viruses, and other potentially harmful substances in the gut. The bound toxins are then harmlessly removed from the body in the manure”. 8. Soil contains fiber from leaves, bark and stems and can provide bulk fiber to a horse that is deficient in structural fiber. Again, horses that are stabled or paddocked on dirt or sand must be given free access to forage to adequately supply the hindgut with enough fiber. Horses deficient in fiber will eat sawdust, shavings, straw, fences, stalls planks, trees and dirt or whatever they can find to satisfy this requirement. Hey you, trying to get your horse up to a trail ride of double digits for the first time. Yes, you in the corner who did a long ride last weekend in the stunning time of…3 mph. Do you feel an eternity away from the miles and pace of an endurance ride? I’m here to reassure you that you are on the right track. I’m writing this to remind myself that *I’m* on the right track too. You see, it’s been a long long LONG time since I brought along a newbie horse in this sport. I forgot just how “baby” those baby steps are in the beginning. I did a ten mile loop on MerryLegs last week. It was a moderate difficulty single track loop. It took FOREVER. Spending just a little bit of time inspecting and maintaining your horse trailer before hitting the road, will pay big dividends in the form of staying safe. We check the following trailer systems at the start of every riding season and periodically throughout the summer as well. If you don’t feel mechanically inclined enough to do it yourself, a qualified professional can do all the work for you. Tires – Check your tires and spare tires to make certain they have the appropriate tire pressure. The pounds per square inch (psi) is located on the side of the tire. Tires filled to their approved maximum rating are less apt to flex and blowout on the road. Also check your tires (and spare tires) for sign of dry rot. Remember tires are subject to drying out even when the trailer is stationary for long periods of time. 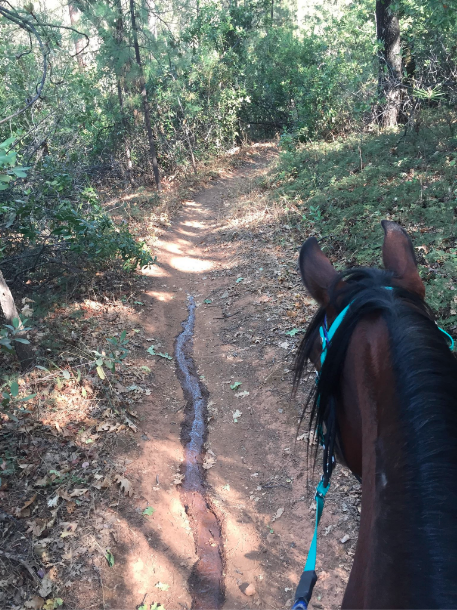 Before you hit the trail, make sure both you and your horse are prepared for any wildlife encounters that might occur. Joan Burlingame has access to 27 miles of trails adjacent to her property in Ravensdale, Washington. It’s the perfect place to go riding on her Tennessee Walking Horse or her mule. 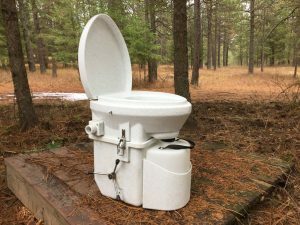 However, it has also led to encounters with just about every type of wild animal in the area, including dive-bombing owls. Though owl attacks are rare, it’s one more good reason to wear a helmet. Wildlife encounters can be spectacular at a distance. But dealing with them up close and personal can cause problems, from your horse spooking to an attack that could injure and even kill you or your horse.